You are on the phone with a customer who can’t connect to the Internet with his new Windows laptop from his home office network which uses DHCP and issues addresses in the range of 192.168.1.1. to 192.168.1.50. You have him check the properties of his network adapter and find that his IP address is 169.254.0.220. What would cause this condition? The correct answer is at the bottom of this page – We do want to give you a chance to think about it first. EXPLANATION: APIPA is implemented when a Windows based device is not specifically assigned an address, or if the device cannot reach a DHCP server. The addresses APIPA assigns are private addresses in the range of 169.254.0.0 to 169.254.255.255. These are non-routable addresses and will not connect to the Internet. The APIPA feature is designed to allow DHCP clients to communicate with each other locally if the DHCP server cannot be reached. It will look for a DHCP server at regular intervals until one becomes available. 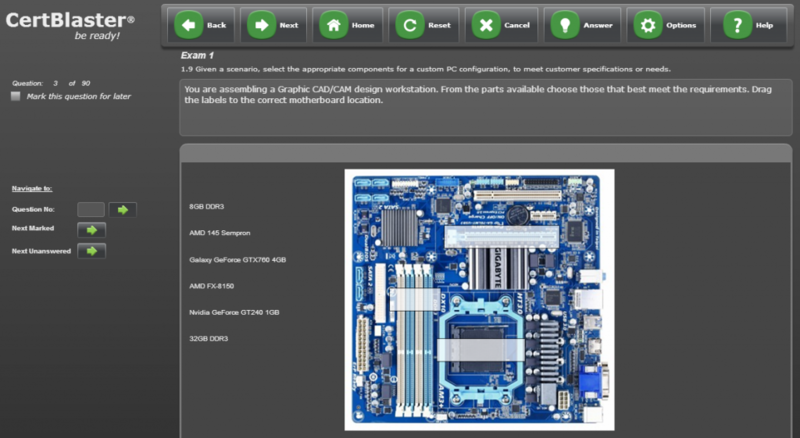 Example of A+ 220-901 Performance Based Question (PBQ) – Custom workstation assembly.